It’s the year 2000. The new millennium dawns without a world war, a global financial crisis or a nuclear melt down. After all the hyper-inflated fin de siecle techno-paranoia, the year 2000 is just, after all, another number. In the jubilance of a virginal century, empty, ripe for imprinting with a new decadence, a celebratory embrace of the technology which has not in fact fractured begins to emerge. 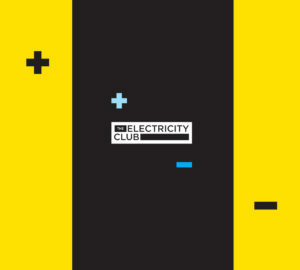 With a dash of appropriately saturnine nostalgia robotic disco, full of copyist Moroder pastiche meets the chin-stroking club sounds of techno, it forms a new sound which for better or worse, becomes dubbed Electroclash. It’s a movement which defines, in many ways, the way pop is presented in the 21st century: girls and boys behind synthesisers / girl vocalists with boys behind synthesisers / boys with vocoders mixing techno beats with pop sensibilities / girls with vocoders mixing ethereal vocals with pop beats. MISS KITTIN (real name Caroline Herve, but she much prefers to be addressed by her stage moniker) had been a much respected radio and club DJ both in her home town of Grenoble, and in clubbing meccas like Paris and Chicago, with friend and fellow Grenoble DJ Michel Amato aka THE HACKER, she recorded ‘Frank Sinatra’ for techno/club label International DJ Gigolos in 1998 on an EP aptly called ‘Champagne!’. ‘Frank Sinatra’ was a minor club hit but in the heady new millenium, clubbers and pop fans eager for a fresh sound embraced the track – and Electroclash generally – like water in the desert that generic techno and bland pop had become. With European, US and UK hits from GOLDFRAPP, LADYTRON and CLIENT at last, for the first time since the disco era, the pop charts and night clubbing had truly fused. Following their ‘First Album’ in 2001, she then collaborated on FELIX DA HOUSECAT’s ‘Kittenz & Thee Glitz’ and GOLDEN BOY’s ‘Or’ which maintained her cult profile. She did not actually release a solo record until 2004’s ‘I Com’. ‘Batbox’ eventually followed in 2007 while another album with THE HACKER called ‘Two’ arrived in 2009. Whilst the charts sadly seem to have mostly left potent synth pop behind – for now – the acts who made their names in the early 2000s have influenced a new generation of artists who continue to hold up the flag for synth music: GRIMES, VILE ELECTRODES and many more. MISS KITTIN, having spawned an entire decade’s musical movement, continues to write, record, perform and DJ to critical and public acclaim. She has just finished her new album ‘Calling From The Stars’ – the first she has written completely alone – and is about to launch her solo live show in the Europe. 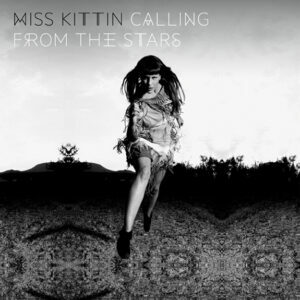 The first half of ‘Calling From The Stars’ offers up all of the elements that have made MISS KITTIN one of the most popular names in electronic music: simple yet evocative lyrics set to an undeniable electro-flavoured techno beat. The second is a more ambient take, witnessing Kittin’s minimal techno credentials take flight over the ten instrumental tracks. Why did you decide to produce this album completely alone? I was just writing future ideas, sketches I had in my mind. I brought them to Pascal Gabriel, my producer friend I love to work with and who has worked with GOLDFRAPP, ANDY BELL and LADYHAWKE. When I brought him my tracks he said “they’re finished – you don’t have to do anything to them”. He was the one to tell me to write the album alone – it surprised me! Where did you record and mix the album? Do you have your own studio set up? I have a little room – a closed mezzanine in my flat – where I have my little set up. I go in there only when I have ideas – I don’t try to work there every day. How long did it take to write ‘Calling From The Stars’? Some tracks I wrote a long, long time ago and never thought would be good enough to release. The rest were made here and there, and not under any pressure at all. I write tracks very quickly: I can make three tracks a week and then none for a while. What equipment do you use in your studio? I have a computer, a few synthesizers, a few drum machines. The room is so small they are stored in cupboards, and because it’s right under the roof, I can’t even stand up in there – I can only sit. When I have an idea, I take a synthesizer out of the cupboard, a microphone and my computer with some plug-ins. I also make some tracks when travelling – my equipment list has always been very small. It proves you can definitely write music without a big studio – in the end it’s the ideas that count. What’s your favourite synthesizer to use? My favourite synthesizer is the Jupiter 6. It’s the first synthesizer I really wanted to buy, and I bought mine more than 10 years ago in Geneva. Unfortunately when I moved to Berlin and then Paris, it broke and I can’t switch it on any more. It’s so heavy and I live on the 5th floor so I haven’t had it repaired yet. But in my home town, a company called Arturia make vintage sounding plug-ins, like a version of the MS-20. I definitely like the vintage sound and these are great plug-ins. I get the sound I want from them by spending a lot of time using delays and filters. I use Cubase to compose – I think I’m one of the last people on the planet to use it. How do you get the sounds you want from such a sparse set up? There is always a way to make it sound good – in fact, the less choice I have the better, because it causes me to experiment more with the sounds I have. Can you tell us about the album – what is it about? I think I wanted to write very simply this time – I found out that the more straight and simple you write, the stronger are your emotions and the messages you want to transmit. I’m not writing with so many metaphors any more – it’s actually very hard just to write simple things. I just wanted to write very good, strong melodies. You’ve mentioned elsewhere that it’s a spiritual album – can you explain what that means? It’s not spiritual in the sense that I’m turning into a hippy! You can be spiritual, punk and a model – you can be all of these. But when you live life as an artist, travelling around the world discovering many different civilisations, countries and cultures, you live in a very peculiar way. You realise that even if you play in front of millions of people a year, it doesn’t make you more important than a woman you see working by the side of the road in Peru. Being a travelling musician confirms to you that although we are very different as human beings, we are also totally alike. It makes you very humble, and also develops your radars to deal with other dimensions. The more I grow, the older I get, I see how disconnected we are from these different dimensions. I see it every day, in the street. People to work and back, but do they really think why they are here, and why they are who they are? Do they make the same mistakes again and again? I’ve always wanted to understand these things and music, and the life I’ve been through, has given me some answers. This is what this album is about. Do you see that as a big leap from your previous releases? These questions are what all my previous albums were about as well – searching, digging, understanding, questioning yourself, digging into certain parts of yourself which are darker. You’re performing live as a solo act for the first time, too. Performing as a solo electronic act is difficult if you want to be more than a microphone and a laptop. Why did you decide to do this tour alone? I’m now attracted by other things – even if I love to DJ and won’t stop, I will probably move towards just playing more special gigs and not like I do it now. The live show is the perfect transition. You say the show will contain tracks from the whole of your back catalogue. How did you choose which tracks to perform? You know what, I think it’s not too good to talk about the live show, I don’t want to spoil it for my fans – I want them to be surprised. I don’t want to tell you what it’s going to be like. Is there anything you can tell us about the tour? I cannot give you all the secrets of the recipe, I’ve been working at this for twenty years and doing my first solo live show ever – it would be totally sad to give you the secrets. You have to see it for yourself. ‘Bassline’ is available digitally now as a two-track single b/w ‘Come Into My House’ via wSphere. It will be expanded into a four-track EP release on 25th March 2013 to include one exclusive cut ‘Motown’ plus from ‘Calling From The Stars’.